Riitaj was 2 years and 7 months old when she first showed inflammation of the knee joints. We were living in state of Qatar at the time, and she woke up one morning crying because of pain in her knees, and she couldn’t come out of her bed as usual. Her knees were so swollen, we took her to the A&E in the local hospital (in Doha) and the doctor who saw her advised us to give her painkillers, and also referred us to the specialist paediatrician who in turn referred us to the rheumatology department in the main hospital. While we were waiting for the referral to go through, Riitaj had a bad cold with a high temperature, so we took her to the Children’s Emergency Section in the hospital, and the paediatrician checked Riitaj over, and spotted Riitaj’s swollen knees. We told her we are waiting for an appointment from the hospital for this, but she made a phone call to the Rheumatoid Arthritis desk and secured an appointment within four days. Once we saw the specialist she identified her condition and send us straight away for the eye test, and blood test. Riitaj was prescribed Naproxen syrup twice a day, with Methotrexate tablets once a week, and steroids and folic acid both taken 6 days a week. Added to that, at a later stage, a weekly Etanercept injection was prescribed. The time from when Riitaj’s knees were swollen, to seeing the specialist was really hard as we didn’t really know what is going on, or why her knees are swollen. We were far from home, and not over confident in the health care system, and any reassurance was lacking. It was painful and sad to see her when she couldn’t reach out for her toy because she couldn’t walk to get it, and when she did manage to walk she used the furniture as an aid. 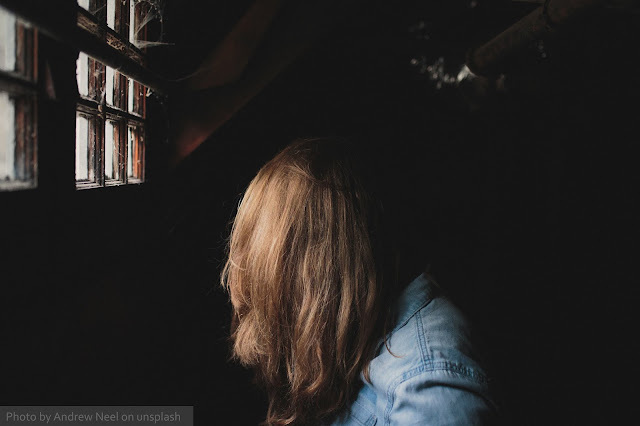 It was truly a heart-breaking time for us, and her illness affected me on my professional level, as I found it very hard to concentrate on my work. 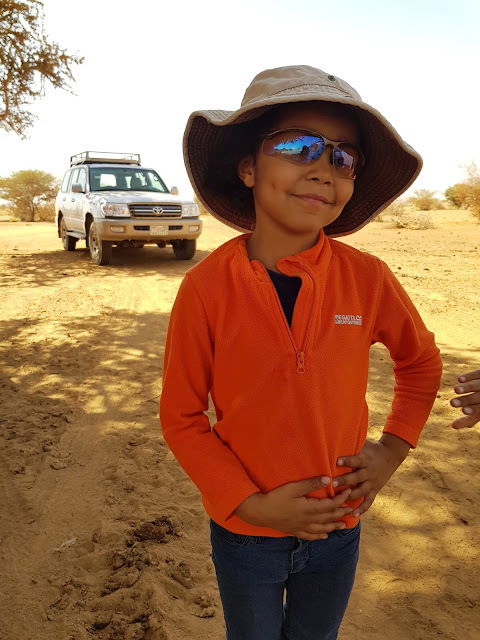 Ritaaj has always been a very happy and active child, and we consider her a very lucky child as with effective treatment her JIA hasn’t stopped her from doing the things she loves most, like walking in the woods or running around either indoors or outdoors. For more information about the different types of Juvenile Idiopathic Arthritis, please see our About JIA page. * Riitaj is happy for us to share her story. The photo is of Riitaj. Charlotte is 11. She has poly-JIA. One morning, when she was 5, she woke with a sore swollen knee. It didn’t get better so, after 3 days, she was admitted to hospital with a suspected infection. After that was ruled that out, Charlotte had numerous hospital appointments, tests and scans. Her ankles then also became inflamed and she was unable to walk. It was terrifying for Charlotte and her parents. It took about 8 weeks before Charlotte was diagnosed with JIA. She also has uveitis, and has lost the sight in her right eye as a result. She has had multiple joint injections, and is now on humira. For the past year, her JIA has been largely under control. She takes everything in her stride, but she has struggled with friendships because of her JIA. She also pushes herself very hard to keep up so people think she’s fine, but then she crashes and burns later on which is hard. Charlotte’s JIA affects the whole family, and the consequences of her uveitis will affect her for the rest of her life. But she doesn’t see it that way, keeps positive, and has recently been awarded a music exhibition at senior school. * Charlotte is happy for us to share her story. The photo is from stock and is not Charlotte. Amelie is 14. She has JIA. It took about 4 months to receive a diagnosis when she was 18 months old, and she started treatment with methotrexate and naproxen. Over the years she had repeated steroid injections before alternative treatments were introduced, and she is now on four medications to control her JIA. The disease is now largely controlled, but she has erosion in her hands, feet and jaw, as well as skeletal deformities as a result of the JIA being uncontrolled for so long. She has missed a lot of school, and has a limited lifestyle due to the JIA, and is very fatigued. She had major ankle surgery last year, fixing the joint in place to prevent further flare-ups and damage. * Amelie is happy for us to share her story. The photo is from stock and is not Amelie. Yasmin* is 7. She has extended-oligo JIA. She was 15 months old when her knee first appeared swollen. X-rays showed it was full of fluid, which was drained, but her knee swelled again soon after. Further tests, including a bone marrow biopsy, ruled out infection and leukaemia. Yasmin was diagnosed with JIA and started treatment. Once the methotrexate was working it was a relief, apart from a weekly injection and monthly bloods all was good, Yasmin could keep up with her friends and was like any other child her age. She had a couple of flares but joint injections, physio and increasing methotrexate controlled them quickly for 3 years. Unfortunately, her JIA has progressed and is currently untreated. 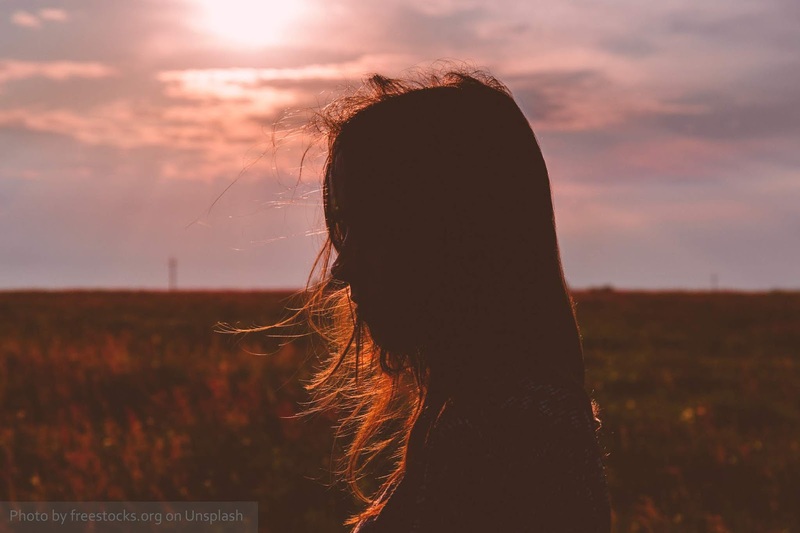 She is in pain and has reduced mobility, and her JIA is affecting her lifestyle and the health and wellbeing of her family members. * Yasmin (not her real name) is happy for us to share her story, but has asked us not to use her real name. The photo is from stock and is not Yasmin. 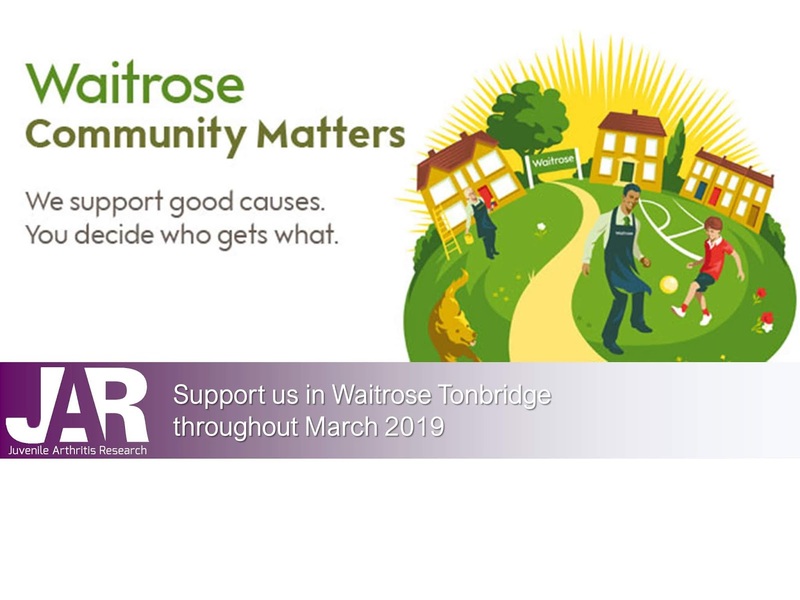 We are delighted that Juvenile Arthritis Research is part of the Waitrose Community Matters scheme in Tonbridge throughout March 2019. Whenever you shop at Waitrose Tonbridge this month, collect a green token and put it in the JAR box as you leave. At the end of the month, each of three charities receives a share of £1000 based on the number of tokens they receive in 'votes'. So, if you are in the area, please do pop in and support us. Did you know that Juvenile Arthritis Research is one year old? Families that have shared their JIA stories with us, organisations and individuals in the medical and research fields that have worked with us, the media that have shared news about the JAR project, fundraisers who have raised vital funds for JAR, our trustees who have helped keep our focus on the vision of finding a cure for juvenile arthritis and those children with JIA who we are in contact with who inspire us every single day. Juvenile Arthritis Research were delighted to hear that we have been chosen as one of two Charities Of The Year by Woodlands Primary School in Tonbridge. Children were asked to nominate a charity to support. After carefully considering all the nominations, the School Council (made up of one child from each class) voted to support Juvenile Arthritis Research (JAR), alongside the other charity they are supporting, the NSPCC. 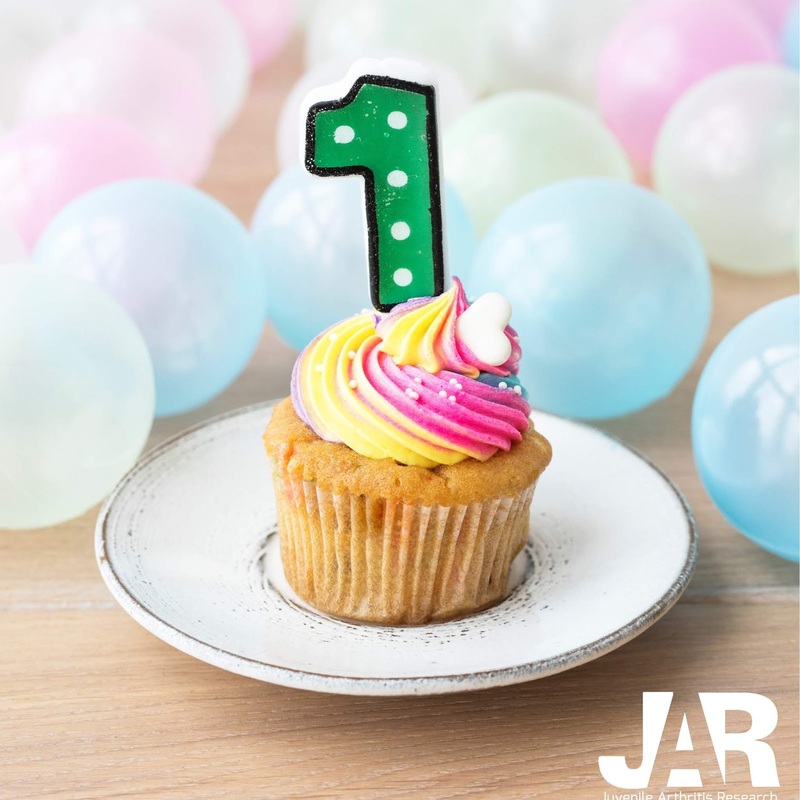 JAR has two aims: first, to find a cure for juvenile idiopathic arthritis, and secondly to increase awareness of the condition. Juvenile arthritis affects 1 in every 1000 children and young people – that’s around 15,000 children under the age of 16 in the UK. It is a crippling and painful autoimmune disorder that attacks the joints causing pain, inflammation, discomfort, reduced mobility and disability. In some cases it can also attack the eyes causing uveitis which can lead to permanent sight loss if left untreated. 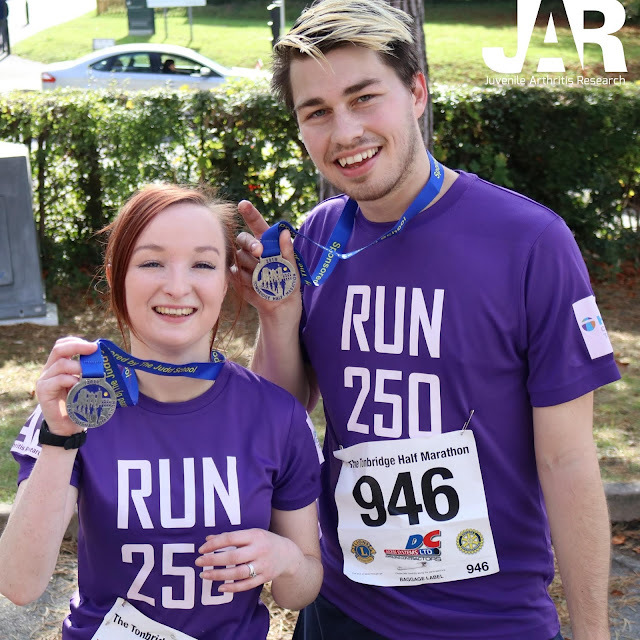 As well as researching a cure for juvenile arthritis, JAR is also raising awareness of the condition because early diagnosis leads to better clinical outcomes. Yet for around 5% of children with JIA, diagnosis took more than 3 years from the point of first contacting a health professional. Increasing awareness will help improve diagnosis times, helping to improve the health of children with JIA. We are so touched that Woodlands Primary School has chosen to support us as one of their charities of the year this year, and we look forward to working with them to raise awareness of juvenile arthritis and to find a cure for this painful chronic condition. We undertook a short survey relating to the age of onset of juvenile idiopathic arthritis. Thank you to everyone who took part. Here's a summary of findings. And he's off! 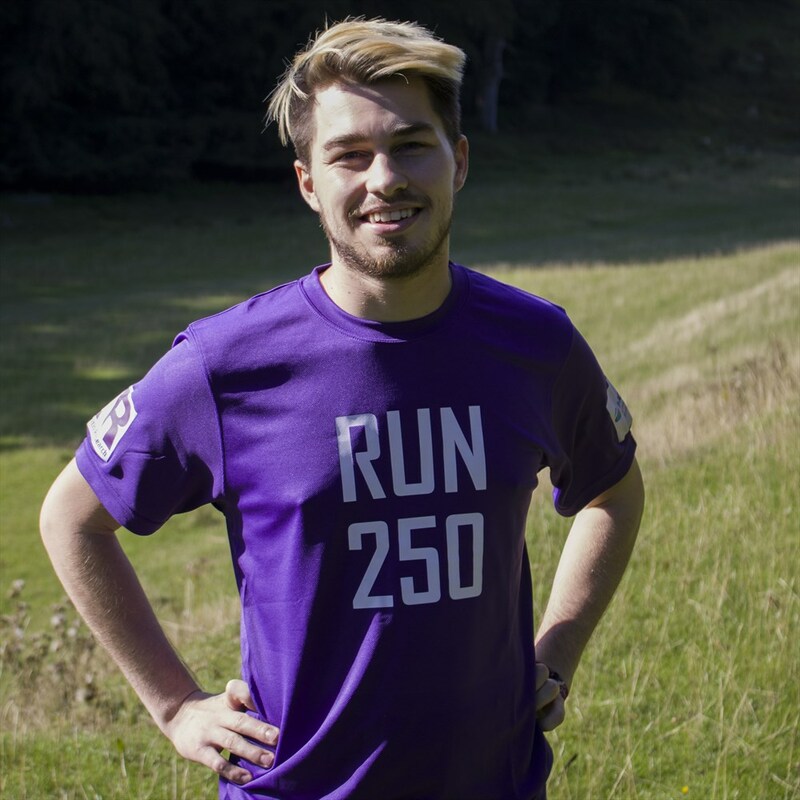 Alex has started his #Run250 challenge where he will be running 250 miles in a period of just 2 weeks. 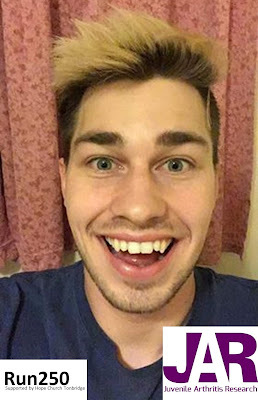 On his first day he completed a whopping 22 miles! Thank you to everyone who has pledged their support so far. Do take a look at www.give.net/Run250 for more information and help spread the word about what Alex is doing to your friends and family. The great thing about Alex's Run250 challenge is that it is helping to raise awareness of JIA. 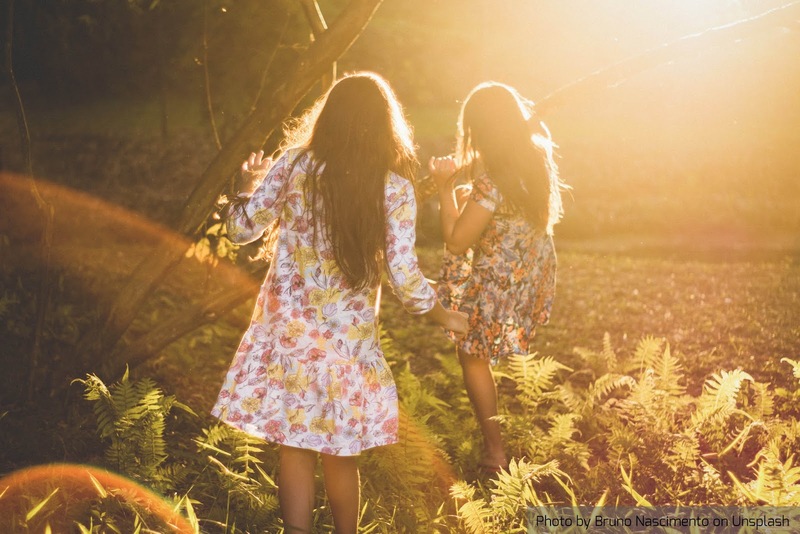 Many people remain unaware that arthritis can affect children. So please do hit those 'share' buttons and help spread the word. 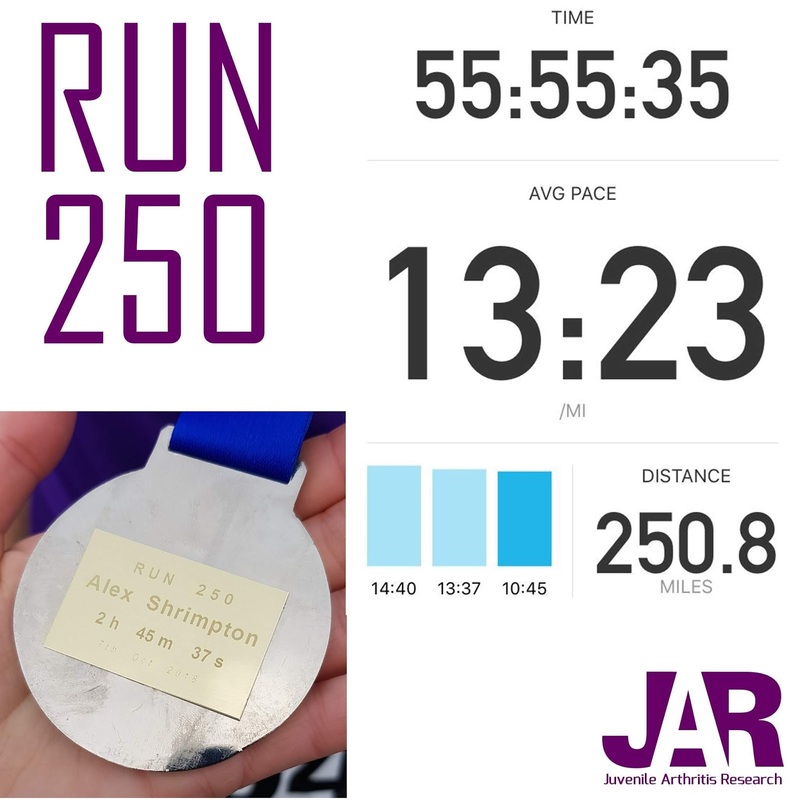 Alex Shrimpton (aged 26), a member of Hope Church Tonbridge, is running a phenomenal 250 miles over two weeks to raise awareness of juvenile arthritis, and to raise money to help find a cure for the horrible disease. From 23 September to 7 October 2018, Alex will be completing an average of 18 miles every day in addition to his job as a carer for which he commutes to Winchester. His run will culminate in the Tonbridge half-marathon on 7 October. 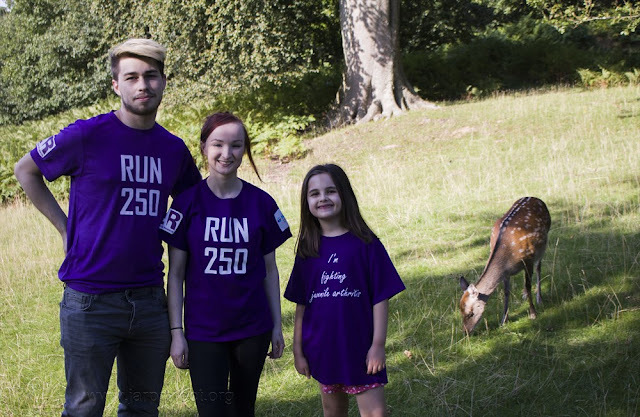 Alex is hoping to raise awareness of juvenile idiopathic arthritis (JIA) – a painful autoimmune disorder that affects around 15,000 children and young people under the age of 16 in the UK. JIA is not the same as either rheumatoid arthritis or osteoarthritis (which are more commonly associated with older people). Without adequate treatment, JIA can lead to other health conditions as the immune system attacks other organs, as well as permanent disability and long-term health implications. Alex will also be raising money for Juvenile Arthritis Research, a charitable project aimed at finding a cure for the disease. With the support and endorsement of leading academic researchers, the JAR project works independently to analyse data and information from a wide range of different scientific disciplines and research fields. By bringing together the disparate sources of information, they believe that they will be able to piece together the clues necessary to fully understand the disorder and develop a cure. Please help Alex support Juvenile Arthritis Research as they search for a cure for juvenile arthritis - a crippling and painful autoimmune disease. You can give online at www.give.net/Run250. 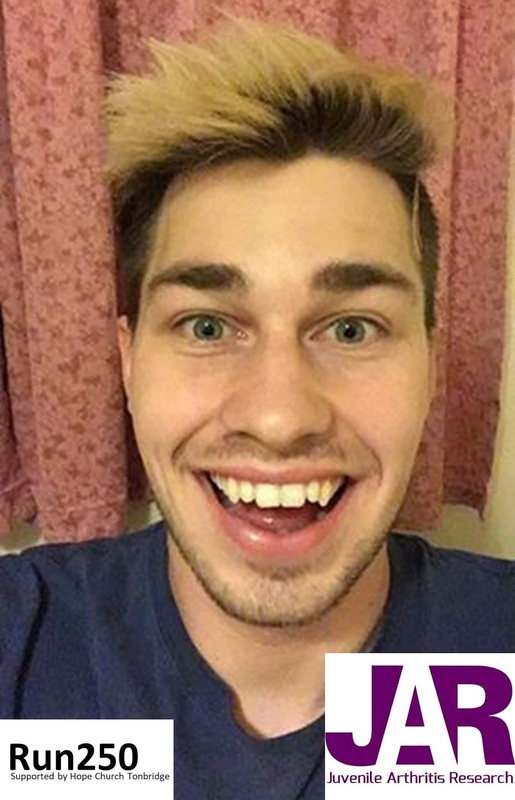 You can also follow his progress on the Juvenile Arthritis Research social media channels.